STATEMENT: Van Dyke verdict just the tip of the iceberg. “Today’s verdict is just the tip of the iceberg. From the day he was born to the night he was killed, Laquan McDonald was set up for tragedy by the architects of Chicago’s rigged and racist economy. “Laquan grew up in a Chicago neighborhood where nearly half of all young black men are out of school and out of work. Without sufficient funding for counselors and special education aides, the public education system resorted to suspensions and expulsions that pushed him out of school and onto the streets. “These conditions are not inevitable. They are the result of conscious decisions by the political ruling class to systematically starve Black people of the public services and infrastructure we all need to live safe and healthy lives. “Jason Van Dyke murdered Laquan McDonald, and the jury was right to convict him of murder and aggravated battery today. But only wholesale political change--including voting out the City Council members who colluded with Mayor Rahm Emanuel to cover up the shooting--will change the tragic conditions that resulted in his death." United Working Families is an independent political organization by and for the 99%. UWF affiliate members include: Action Now, Chicago Teachers Union, Cook County College Teachers Union, Grassroots Illinois Action, SEIU Healthcare Illinois Indiana, Warehouse Workers Organizing Committee, United Electrical Workers Western Region, Illinois Nurses Association, People United for Action, Workers United CMRJB, 22nd Ward IPO, 25th Ward IPO, and 33rd Ward Working Families. Join UWF in supporting the #ChicagoHotelStrike! United Working Families proudly supports the 6,000 hotel workers who have been on strike since September 7. Join us! Let us know how you can support and we'll follow up with more information. Guided by: Our vision for a city and a state that provides for the many, not just the wealthy few. Recognizing: That working people in Chicago and Illinois are under attack from a system of social and economic exploitation that has enriched financial elites while stripping all others of the basic provisions needed to live with peace and dignity. Recognizing: That communities of color, and particularly Black people, have borne the brunt of these attacks, resulting in unconscionable levels of displacement, incarceration, violence, and unemployment. Recognizing: That winning a different future for our city and state--in which all working people can hold jobs with dignity, live in safe, stable, and affordable housing, and send their children to free, world-class public schools from birth to college--will require progressive revenue that transfers private profits into the public sphere and stops the massive privatization of public accommodation. Recognizing: That the forces aligned against this vision have an overwhelming financial advantage that has been systematically deployed to weaken the political power of working-class people and foster racial strife amongst people of color along with manufactured hatred and violence. Recognizing: That winning a government that provides for the many, not the few, will require winning elections with candidates from the rank-and-file of our movements, organizing that builds people-powered infrastructure, and campaigns that shift the prevailing narratives and recruit people to our politics. 1. BUILD BLACK AND BROWN LEADERSHIP ON THE LEFT. Our only path to victory lies with recruiting people, specifically communities of color, to a shared vision and strategy. Our potential to bend politics to our vision of a more equal, humane and just society depends on mobilizing the full extent of our multi-racial, multi-ethnic and multi-lingual rank-and-file. Electoral campaigns are effective tools to do this; once elected, public officials can further mobilize, build leadership, and promote our message. We will elect candidates who know our struggles and promote our vision, values and strategic priorities, and we will emphasize the development and elevation of Black and Brown candidates on the left. 2. FIGHT FOR BOLD ALTERNATIVES TO THE STATUS QUO. UWF is made up of community and labor organizations with deep histories of fighting for working-class, racial, gender, and immigrant justice. We must continue to bring this vibrant, just, and organized militant spirit to elected office. We will use elections to define the sides of the debate between us and our opponents, backing only those candidates who are unafraid to name the brutalities of our current political arrangement and offer bold, clear and aspirational alternatives. 3. DEFEND OUR CHAMPIONS AND BUILD ORGANIZATION. Our opposition has intentionally cultivated hopelessness and cynicism. UWF must make the argument that meaningful political change is both possible and worth the effort. We take risks knowing both the imperative of a victory and the cost of a loss, and therefore hold our candidates and elected officials to the highest standards of strategic and political practice both during and beyond any one electoral cycle. We will defend our incumbents and work with them year-round to build an organizational infrastructure that lasts beyond a single election. 4. CREATE SPACE FOR INDEPENDENT POLITICS. We recognize the crucial differences between Democrats and Republicans, and in between different Democrats. We further recognize the deep harm being done to people of color, working people, and women across Chicago and Illinois under the current regimes of Donald Trump, Bruce Rauner, and Rahm Emanuel. However, it is UWF’s unique role to expand the landscape of possibility, not promote the best option within a field of limited possibility. We make endorsements based on our hopes, not our fears. It is not our role to endorse in every race, but to win a city and a state for the many, not the few. We will out-organize our opponents, set the terms of the debate, and develop a pipeline and infrastructure that can support bold and inspiring new leadership. 10:20 - 11:10 am - Why Now for United Working Families? 2:30 - 5 pm - UWF Convention After-Party! STATEMENT: Rahm takes a pass. Good riddance. CHICAGO- Following is the statement of Emma Tai, Executive Director of United Working Families (UWF), on Mayor Rahm Emanuel's decision not to run for re-election: "In 2014, Chicago Teachers Union President Karen Lewis came together with the healthcare workers of SEIU HCII and the community activists of Action Now and Grassroots Illinois Action to create United Working Families. We forced a mayoral runoff and took Rahm Emanuel to the limit in 2015. "Four years later, instead of answering for the slain teenagers and displaced families and struggling workers and violent cops, Rahm decided to take a pass. Good riddance. "Emanuel turned Chicago into a city where Black and Brown people could not live safe and healthy lives, where working families could not afford child care or rent, where developers snatched up land made cheap by African-American displacement, and where parents starved themselves to keep their neighborhood high school open. "With Emanuel gone, we can and we will win a different future--a city for the many, not just the wealthy few. "The people of Chicago need and deserve public safety without occupation, living wage jobs, and flourishing public schools. Those who want to win the fifth floor must speak to that vision. Anything less, and we're taking a pass on you, too." Set the agenda for our Convention on September 22! 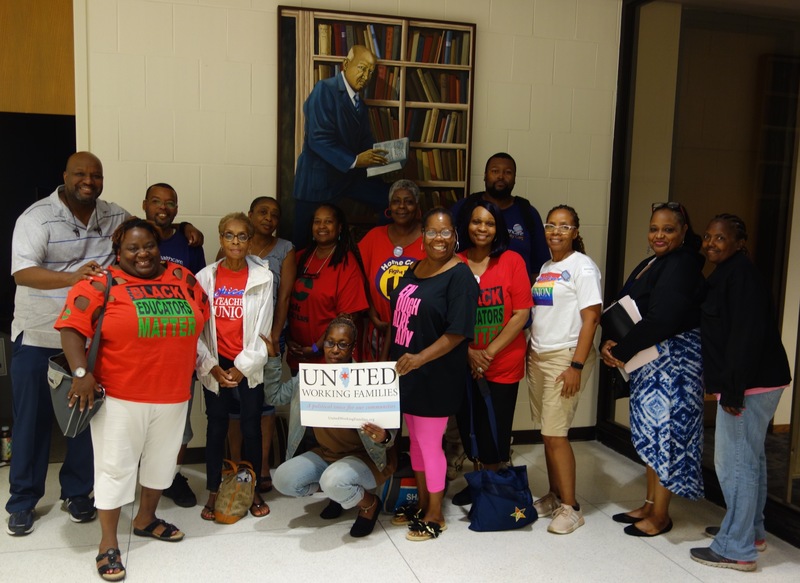 United Working Families is growing! At July's Party Committee meeting, delegates voted to accept the affiliation of the Illinois Nurses Association. INA joins United Electrical Workers Western Region, Warehouse Workers Organizing Committee, and People United for Action as new member organizations that have affiliated in just the last year! This growth is a testament to the strength of our vision. We're fighting for a city and a state for the many, not the few. And we'll win it only by building the independent political alternative we need: a people-powered organization that recruits, elects, and supports leaders who come from the rank-and-file of our movements. We sent two endorsed candidates from the 2018 primaries, Alma Anaya and Delia Ramirez, along with at-large delegate and Chicago alderman Carlos Rosa, to the border to fight the separation of migrant families and the criminalization of people of color. We launched our first-ever South Side Summer Organizing Institute with teachers and healthcare workers from our rank-and-file. We held a second Movement Leader Camp, training over 50 people, the majority of them women and people of color, in the skills they need to run for office, manage campaigns, and organize local chapters. We raised over $30,000 at our first-ever Trivia for the People summer fundraiser! And we're just getting started. Join us at our membership convention on September 22 as we chart our next steps to win a city and state for the many, not the few. Build the power of Black workers with us! Two weekends ago, over 70 people were shot in Chicago. Last weekend, another 33 were wounded. Our thoughts and prayers are with their families. But our action and anger is directed at the elected officials who continue to allow this to happen. Violence isn't a fact of nature. It's the result of the decisions, made by public officials, to create desperate conditions in communities of color. It doesn't have to be this way. If there is taxpayer money for Amazon CEOs and Lincoln Park developers, there is public money for schools, jobs, child care, counseling, and healthcare. That's why United Working Families organized our first-ever South Side Summer Organizing Institute this year. All summer, teachers and healthcare workers have been knocking on doors, organizing meetings, and identifying prospective candidates who come from the ranks of our movements. We're fighting for our right to this city and building the power we need to win. Want to learn more? Join us at a community canvass this Saturday to hear more about how it's going, and help us build the power we need to fight back. Can't join us on Saturday? Consider making a contribution to help support this important work. Link to donate here. Through United Working Families, rank-and-file labor leaders are building people-powered political organization on the South Side of Chicago. Join us! Guest post by Candis Castillo: "We just want to live." Yesterday, a Black man named Harith Augustus was shot in the back by the Chicago Police Department. Mayor Rahm Emanuel will go through the motions: a press conference, a task force, a scapegoat. Meanwhile, Black families in Chicago live ever more violent and precarious lives in our city: terrorized by the police, destabilized by school closings and joblessness, locked up, pushed out, shot, killed. It’s not a coincidence that cranes and condos are coming into downtown while Black families are being displaced by the thousands. It’s intentional. The Mayor and his corporate donors, with the support of the overwhelming majority of Chicago’s political class, are turning Chicago into a city for the wealthy few. Black people have no place in that future city. That’s why they have closed our schools, broken our unions, and locked up our youth. That’s why they’re killing us. I grew up on the South Side of Chicago. I believe we have a right to Chicago. And as the Organizing Director of United Working Families, I’m working with Black union members to build the people-powered, independent political organization we need to fight for our lives. Help us fight back. Donate to support our South Side Organizing Institute, and register today for our fall membership convention, where our organizing interns will lead the conversation on how we build a different future together. Candis Castillo (far left) with members of the first-ever South Side Organizing Institute. In the Trump era, working people need a real political alternative. Bosses around the country--including the billionaire in Springfield and the con man in DC--are celebrating today's decision by the Trump Supreme Court. The Janus vs. AFSCME Council 31 case was designed to weaken the political power of working people. Underwritten by the wealthiest members of our rigged economy, Janus is a craven attack on the ability of workers to fight for good jobs and robust public services. But today's decision by Trump's Supreme Court should be no surprise. The bigger question is who will fight back? In Chicago and Illinois, union jobs in public schools, hospitals, and transportation were a pathway to the middle class for women and Black and Brown families. It was Democrats, not Republicans, who decimated those jobs when they privatized schools, sold parking meters, and closed public clinics. And both Democrats and Republicans refuse to ask their wealthy donors to pay taxes for the flourishing public services we deserve. In the aftermath of Janus, the attacks on our jobs, schools, and communities will only deepen. Working people need a real political alternative. That’s what United Working Families is here for. Help us fight back. Sign up today to knock doors, join a committee, or make a donation. We can't do it without you. My first child turns five months old next week. I hold him tighter as I watch families being detained, separated, and lost to each other on the U.S. border. It is monstrous to separate children from parents who have brought them to this country with the dream of a better life. Keeping families together while locked in cages is wholly insufficient, and no less horrific. And yet every day, families are being locked up and torn from each other--not just on the border, and not just by Donald Trump. Immigrant families separated by ICE raids. Women on public assistance who live in fear of having their kids taken away. Young people shot, surveilled, and incarcerated in neighborhoods ravaged by public disinvestment. At United Working Families, we're fighting against deportations, criminalization, and displacement in every way we can. We believe in and are working towards a world in which government protects the dignity of all people, not the wealth of the richest few. We're taking action in the following ways. I hope you'll join us. 1. Call your elected officials. Demand that they abolish ICE, force Jeff Sessions out, end mass trials, and investigate and hold DHS accountable for the thousands of children separated from their families. Look up the contact information for your representatives in Congress here. 2. Make a donation. If you are able to support work on the border, we suggest Puente, a grassroots migrant justice organization based in Phoenix, AZ. Thank you to our sisters and brothers at Mijente for the recommendation. 3. Sign up to take action. Actions are being planned at the border and locally in Chicago and Illinois in the coming days and weeks. Our young Latinx champions from the 2018 primaries--Alma Anaya, Delia Ramirez, and Aaron Ortiz--are planning to be there. Sign up to join us and we'll be in touch. The struggle continues. I believe that we will win. As a rank-and-file union activist and working class labor leader, Ed Sadlowski led from a place of profound respect and love for his fellow workers. Sadlowski and the Steelworkers Fight Back movement that he helped lead laid out a vision for democratic, militant unionism, rooted in our communities that has inspired many of UWF's members and affiliated organizations. While some labor "leaders" tried to curry favor with corporate bosses and politicians, Ed was mounting a battle that inspires organizing in Chicago and across the country to this day. By starting at the grassroots and the shop floor, the fight for workers' rights and the dignity of every working class family in his orbit could be won. United Working Families sends our deepest condolences to his family and friends – particularly our sister and Ed’s daughter, Alderwoman Sue Sadlowski Garza. Eddie raised her as a chip off the old block – to fight, like her father, for Chicago's working class communities, first as a member of the Chicago Teachers Union, then as an Alderwoman and member of UWF's Party Committee. Jesse Sharkey, CTU Vice President and UWF Party Committee Delegate: "Ed said what few in power have the decency to admit: that ordinary workers have intelligence and creativity and grace, and deserve the rights and working conditions that allow us to live with dignity and possibility. I was honored to learn from him, and honored to call him a friend." Guest post by Rod Wilson: Is your rent too high? Tell your legislators today that working families deserve rent control. This winter, we talked to thousands of voters about the need for rent control in our city and state and we heard it over and over again - people are struggling to keep up with rising rents. In nine wards across the city, voters were asked if we should lift the ALEC-backed statewide ban on rent control and over 70% of them said yes. Now legislators in Springfield are considering a bill that would both repeal the ban and bring rent stabilization to Illinois! Today, housing advocates, renters, and small landlords are on their way to Springfield to ask for a YES vote on the Rent Control Act (SB 3512), which would lift the ban and regulate how much rent can increase. Will you join them by sending an email to your State Senator and Representative and let them know you support SB 3512? If you're tired of ever rising rents, send an email to our lawmakers today and tell them you support the Rent Control Act. PS -- If you haven't already, please consider making a $15, $25, or $50 donation today to help us keep this work going. We're 100% funded by the dues of working people--we can't do this important work without you! Guest post by Candis Castillo: Black Women Lead. Working for Delia Ramirez was my first experience managing an electoral campaign. I saw firsthand how powerful it is to have women of color who come from our movements in leadership on the campaign trail--a role that is traditionally dominated by white men. As a Black woman coming from the labor movement, I'm passionate about growing the next generation of progressive candidates and campaigners of color. So I couldn't be more excited to invite you to a special conversation on May 19 about the strength and brilliance of Black women and how we build an independent political and social movement centered on our issues. 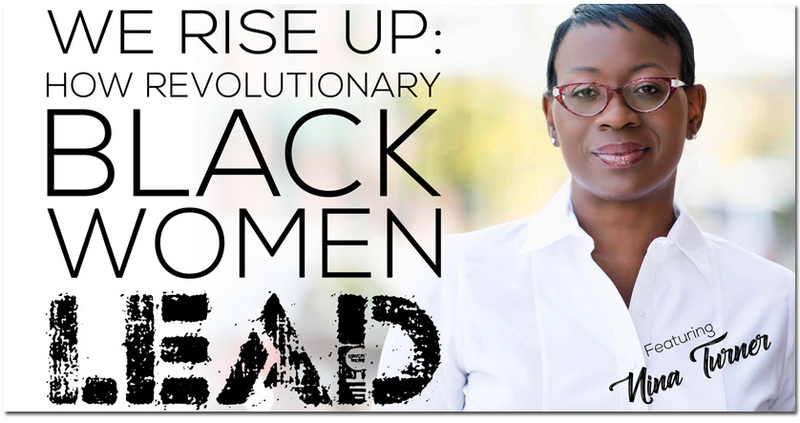 I hope you'll join us for We Rise Up: How Revolutionary Black Women Lead, a collective conversation with Nina Turner, President of Our Revolution, IL State Representative Litesa Wallace, and IL State Representative Carol Ammons. Space is limited and registration is required to attend. Register here. Trusting Black women doesn't mean propping us up as symbols--it means putting us in positions to lead the way. Come be a part of a conversation about how we do it. This May Day, support working-class politics. This May Day, help us build the political power of working people. Last month, United Working Families slate of first-time Black and Latinx candidates was victorious in the Illinois primaries. Not only that, but our first class of Movement Leader Fellows--young people of color from the rank and file of our movements--were trained and placed on successful campaigns where they laid the foundation for the organizing we need to do after election day. 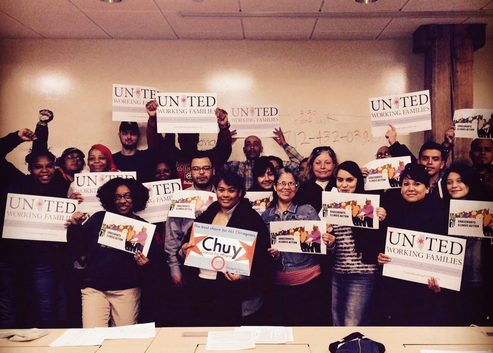 United Working Families is building the real working-class political power we need to take back our city and state. But we can't do it without you. In honor of International Workers Day, please consider donating $25, $50, or $100 today to help us build the progressive, people-powered political alternative we need. Guest post by Aaron Ortiz: I got my start with UWF. Three years ago, I participated in the United Working Families Fellowship, where I learned how to knock on doors and have real conversations with my neighbors. It helped me realize that I have what it takes to run for office. Just last month, I fought and won against one of the most powerful machines in the state. During this past election cycle, UWF took up this mantel again. They hosted a team of talented Movement Leader Fellows, who are considering running for office, working on campaigns, or building independent political organizations in their neighborhoods. This Fellowship program gave me an opportunity to be involved in progressive politics and laid the foundation to my campaign, so I am excited to see where this year's cohort is headed! That’s why I’ll be joining the UWFellows Graduation Celebration on Saturday. Will I see you there? 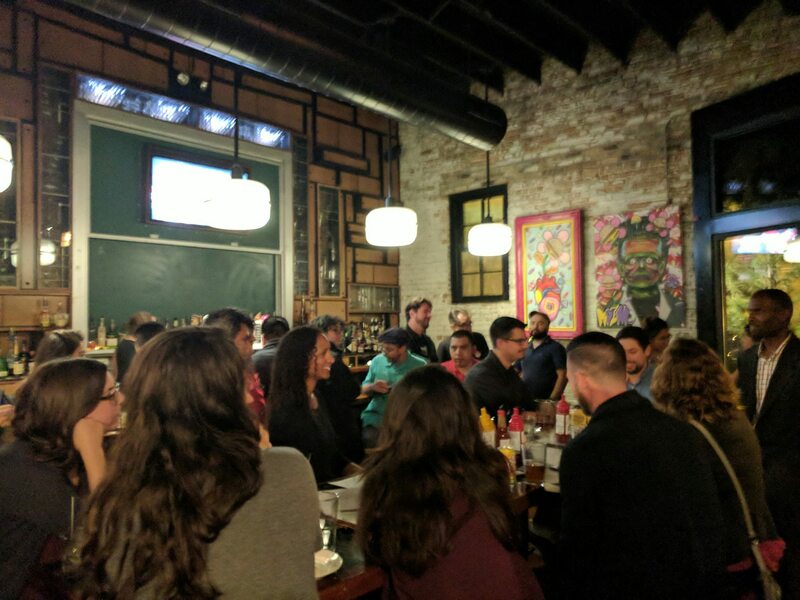 On March 20, voters came out in force for our UWF slate of candidates - Brandon Johnson and Alma Anaya for Cook County Commissioner seats, and Delia Ramirez and Aaron Ortiz for State Representative. They are all first time candidates, young people of color who have been active in movements for education justice, immigrant rights, and more. It was a stunning upset for machine politics and a progressive victory for working families. These are not just electoral victories. They are organizing victories. They were seeded by our work in the 2015 Chicago elections and powered by the independent political organizations that grew out of those efforts. And they demonstrate that when we organize, we can win. Can you donate $25, $50, or $100 today to help us keep up the momentum? 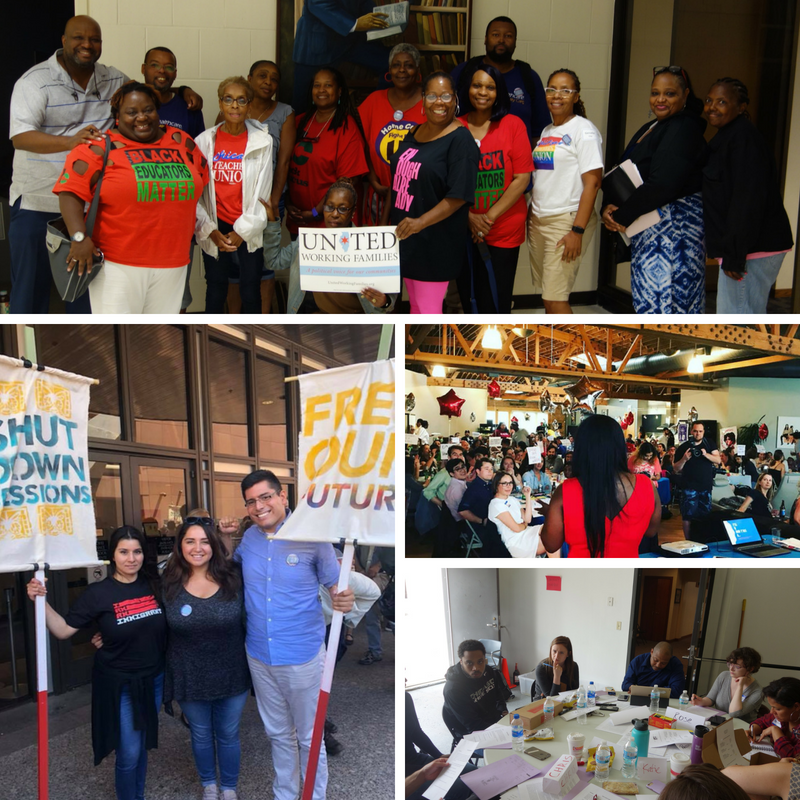 This election, United Working Families knocked on thousands of doors, talked to hundreds of voters, and trained a class of fellows in the skills they need to keep organizing and winning. Our staff and board members ran these grassroots campaigns. And we invested early to make sure that our challengers would have the resources they needed to be competitive. The result? We went four-for-four with first-time candidates and young people of color. And we’re ready to keep taking on corporate politicians with movement candidates. We’re ready for 2019, 2020, and beyond. But we can’t do it without you! This can be a warning shot for Rahm Emanuel and his rubber-stamp aldermen, but we can’t do it without you! We're building a challenge to the parties of billionaires. Please consider chipping in today. 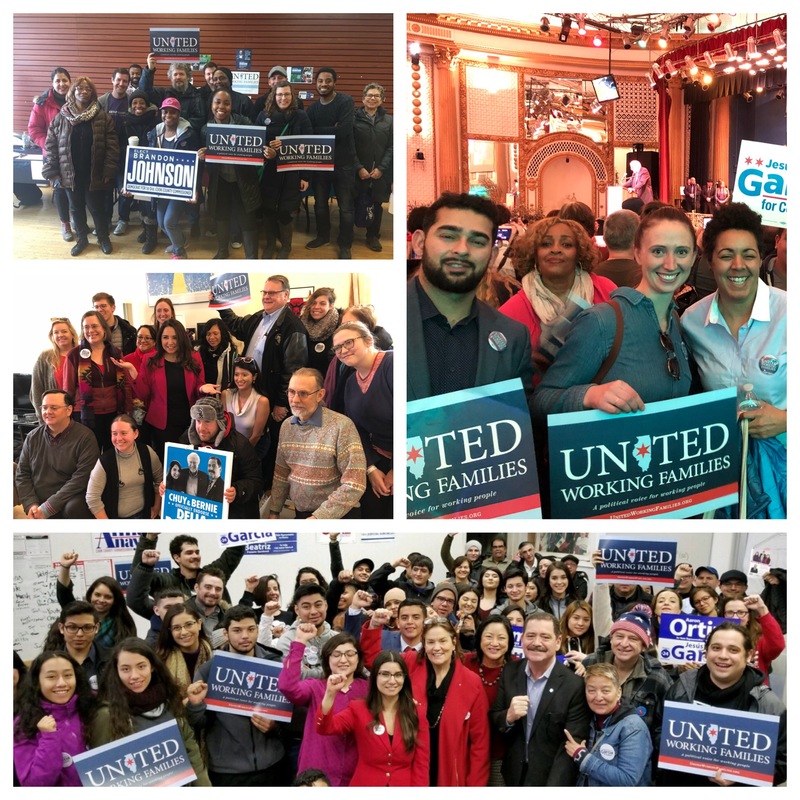 CHICAGO- Following is the statement of Emma Tai, Executive Director of United Working Families (UWF), on the victories of UWF-endorsed candidates in today’s primary elections: Brandon Johnson (Cook County 1), Delia Ramirez (IL House 4), Aaron Ortiz (IL House 1), and Alma Anaya (Cook County 7). “Today, voters came out in force for movement candidates Brandon Johnson, Delia Ramirez, Aaron Ortiz, and Alma Anaya. The United Working Families slate—all first-time candidates and young people of color—took on big-money interests in the Democratic Party, and won. “These are not just electoral victories. They are organizing victories. These campaigns were seeded by our work in the 2015 city elections and powered by the independent political organizations that grew out of those efforts. “And we’re not letting up. United Working Families knocked on thousands of doors, talked to hundreds of voters, and trained a class of activists in the skills they need to keep organizing and winning long after today’s election. We’re ready to take on the complacent Democrats who have let violence, gentrification, and unemployment ravage our communities. We’ve said that parties controlled by billionaires can’t represent working families and tonight’s results show that the voters are with us. United Working Families is an independent political organization by and for the 99%. UWF affiliate members include: Action Now, Chicago Teachers Union, Cook County College Teachers Union, Grassroots Illinois Action, SEIU Healthcare Illinois Indiana, Warehouse Workers Organizing Committee, People United for Action, Workers United CMRJB, 22nd Ward IPO, 25th Ward IPO, and 33rd Ward Working Families.